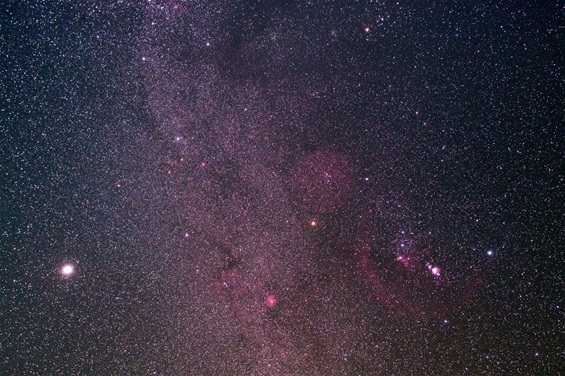 The big 4 nebulae of the summer southern Milky Way, Eagle, Omega, Trifid and Lagoon. 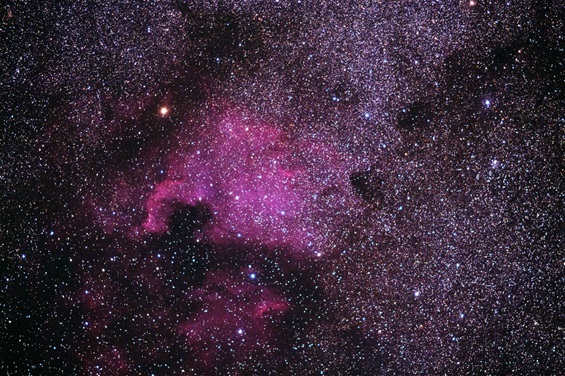 The 4 nebulae are 4000 to 5000 lightyears away from us Astro photo taken on Emberger Alm Carinthia using Canon 24-105 L lens Enjoy also the gorgeous structure of our home galaxy! 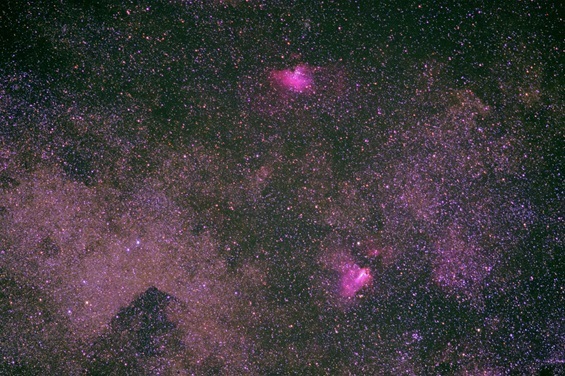 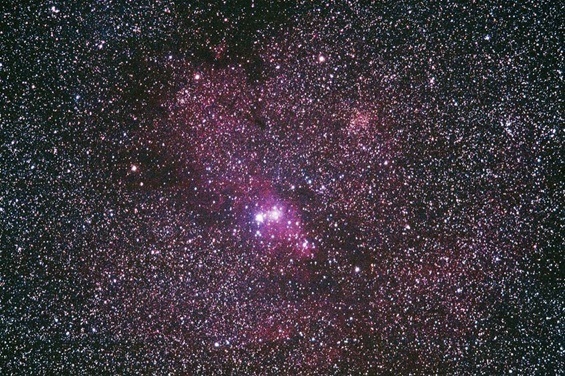 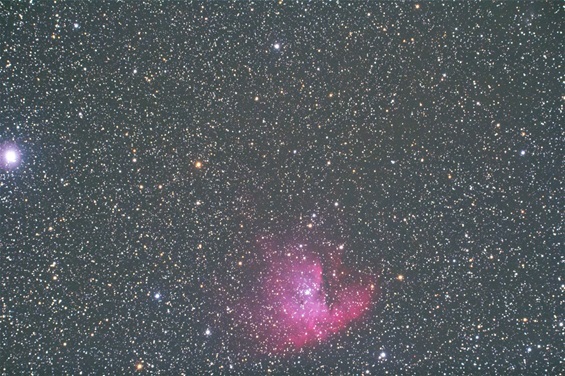 Eagle Nebula and Omega Nebula in the early summer sky over Alentejo, Portugal Astro photo taken using Canon 200mm L lens on Astrotrac mount! 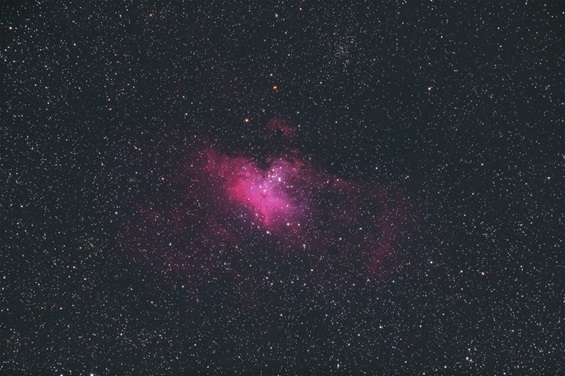 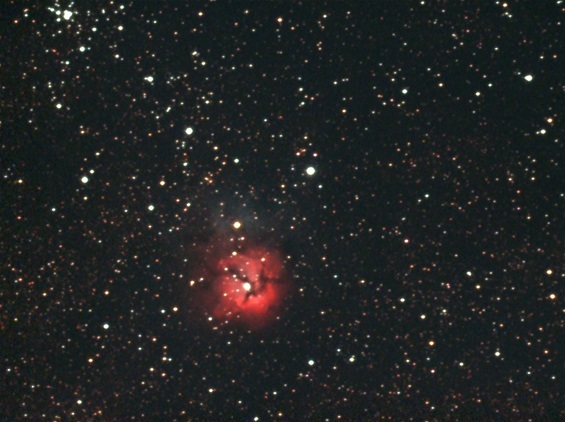 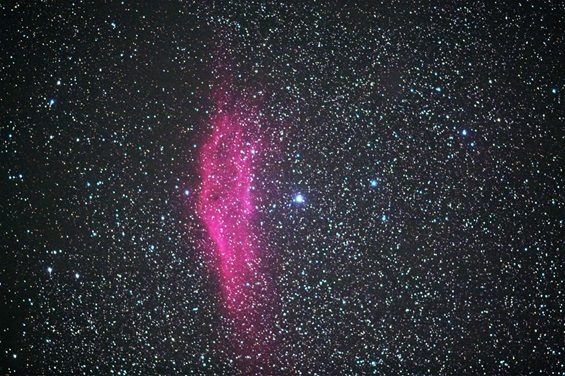 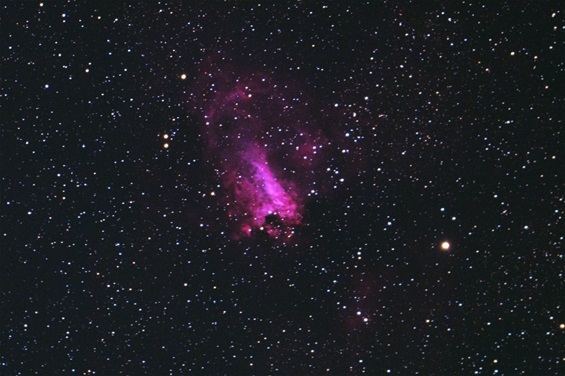 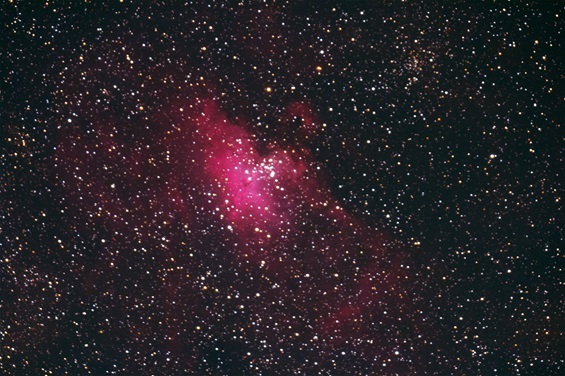 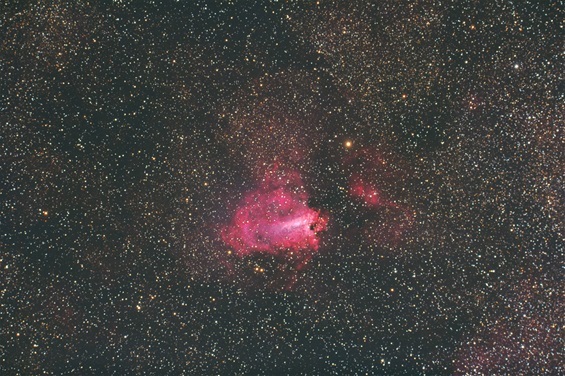 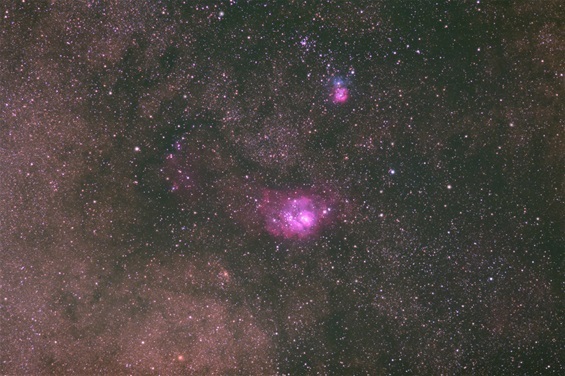 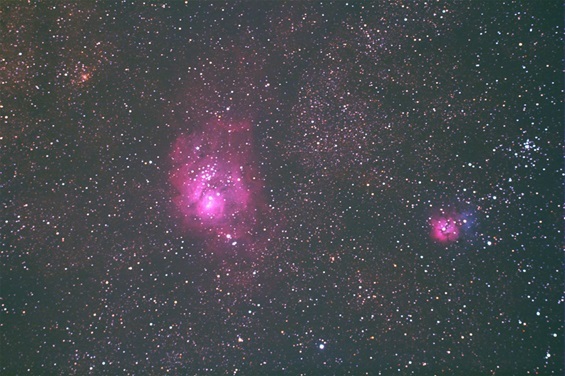 Omega Nebula M17 taken with80/480 triplet APO at Hadres, wine quarter(Weinviertel) Lower Austria. 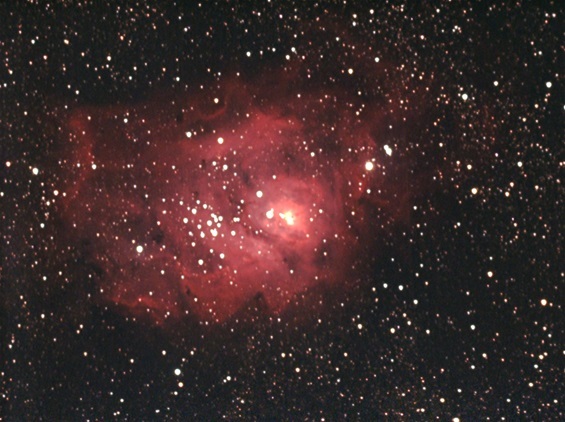 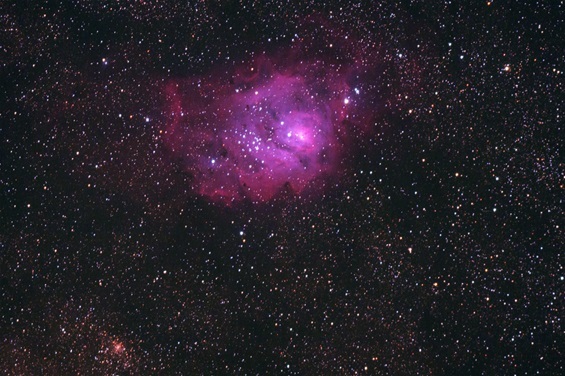 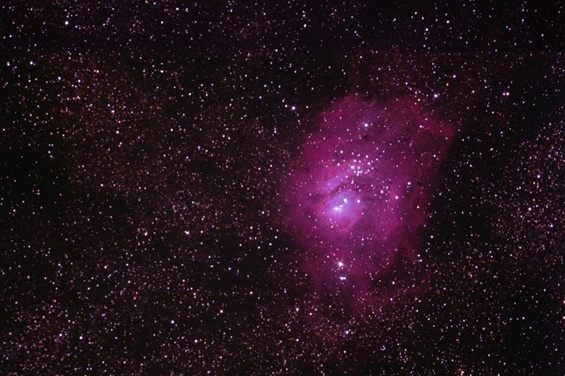 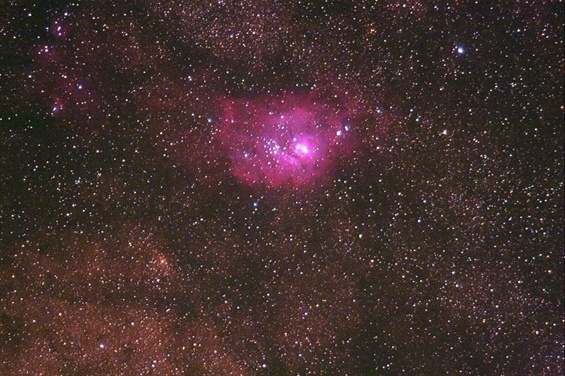 Lagoon nebula M 8 taken with 80/480 APO Triplet on Astrotrac mount at Lissiya resort Southern Turkey coast. 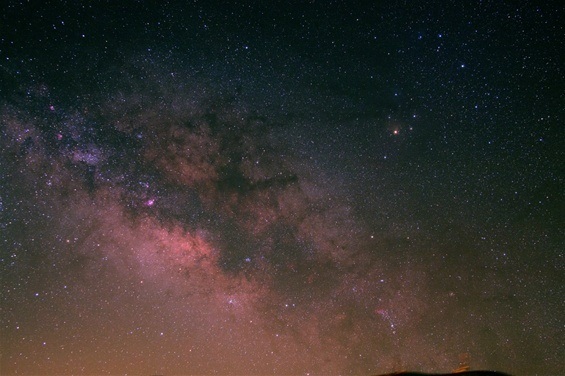 Milky Way over Fuerteventura, Spain with Sagittarius(left) and Rho Ophiuchus region(top right). 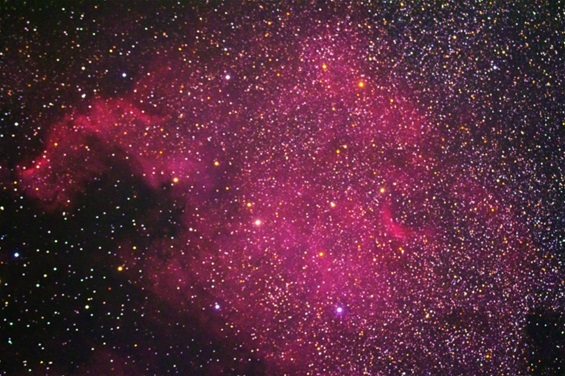 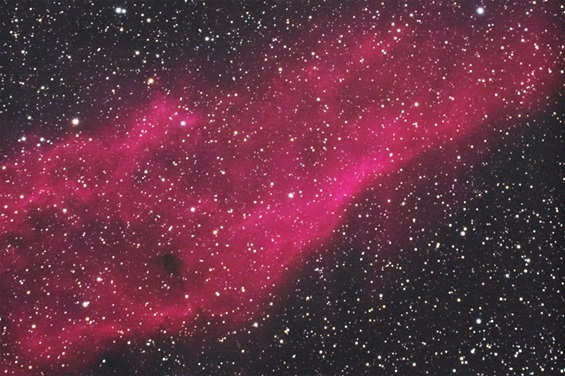 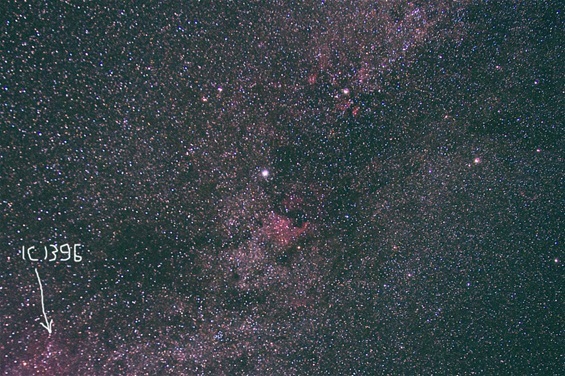 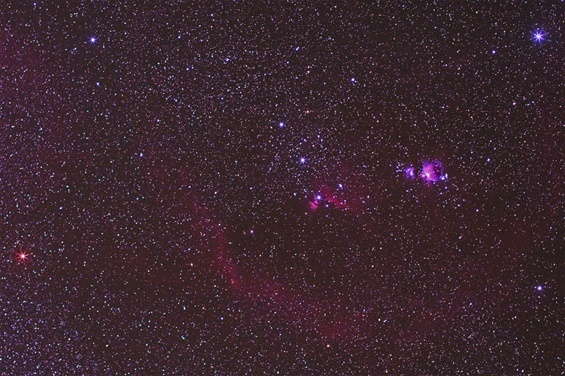 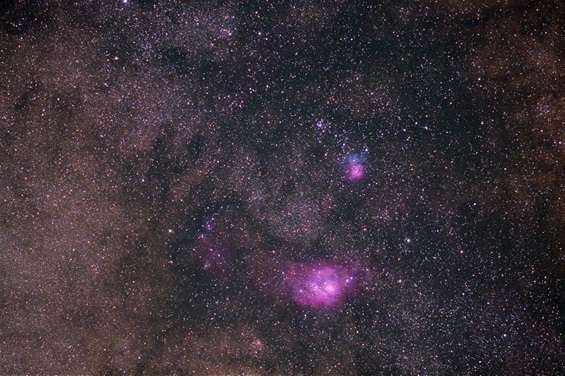 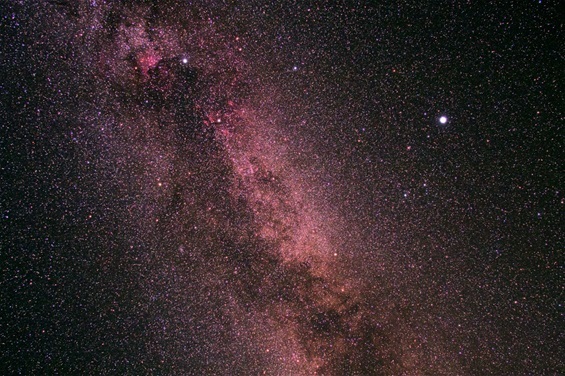 You can see also the Pipe dark nebula(center) and the Prawn nebula(over the horizon). 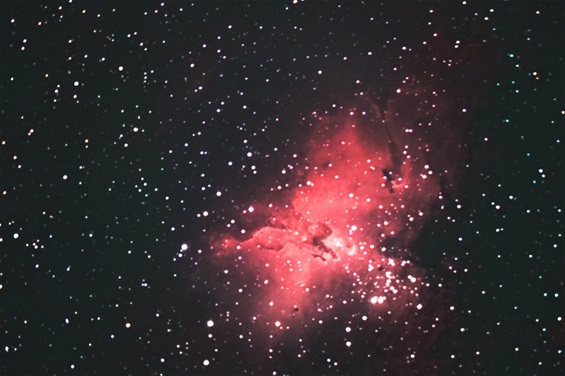 Astro photo taken using Canon L lens 24-105mm. 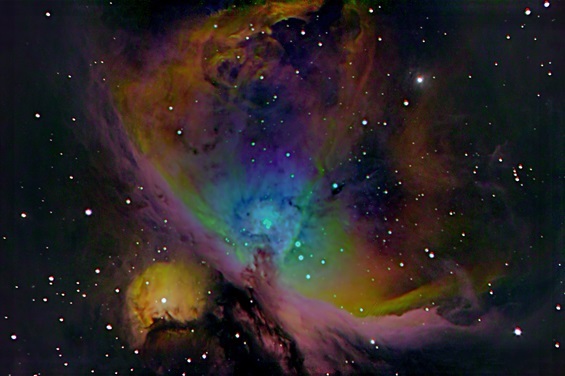 Rho Ophiuchus region(description see next photo). 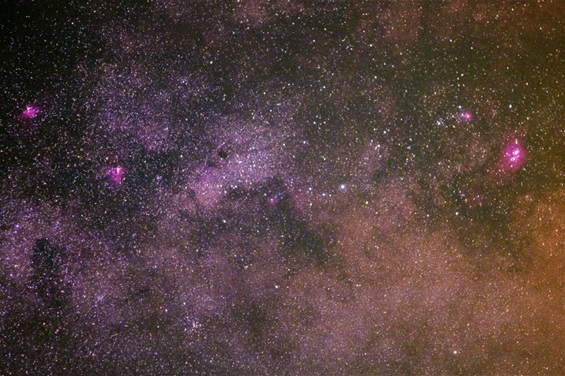 Astro photo taken using Canon L lens 24-105mm on the island of Fuerteventura, Spain. 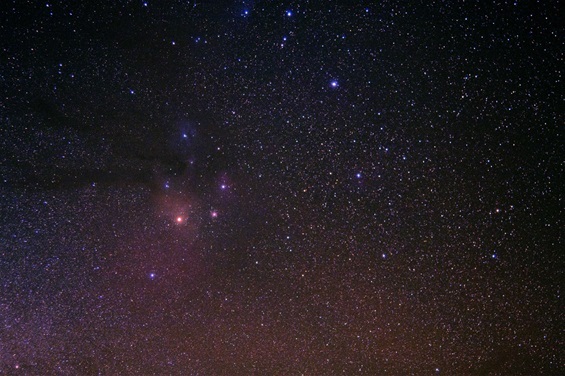 Rho Ophiuchus region, red emission nebulae and blue and yellow reflection nebulae illuminated by blue and red/yellow shining stars. 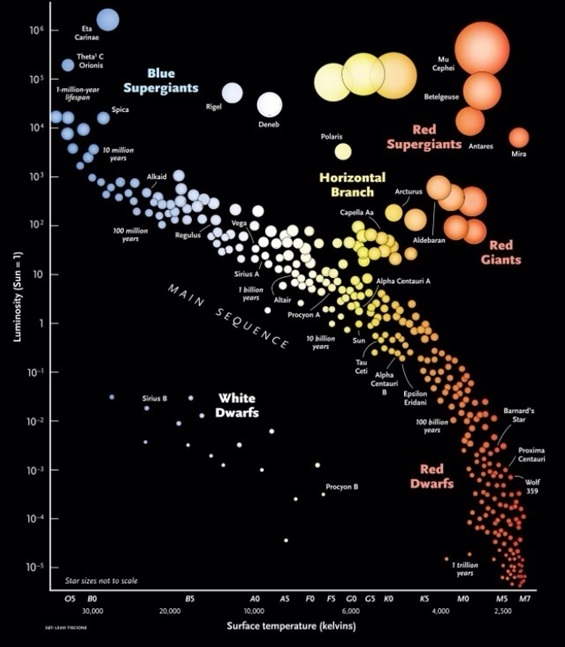 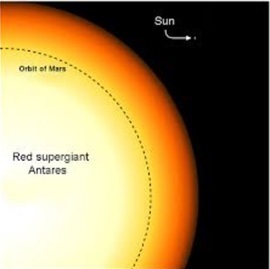 The red/yellow shinig star on the bottom is Antares, a red giant, 600 lightyears away(see also the size comparison to our Sun below and Hertzsprung-Russel diagram below), on the right hand side you can see the globular cluster M4, 7000 lightyears away, and above the blue giant star Al Niyat, 730 lightyears away, which is illuminating a red emission nebula. 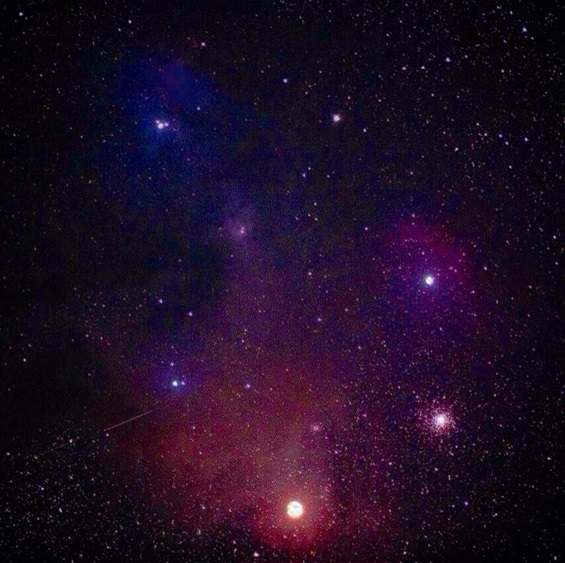 Left on top of the photo of the Rho Ophiuchi Area a blue reflexion nebula illuminated by Rho Oph., a blue main sequence triple star, 400 lightyears away. 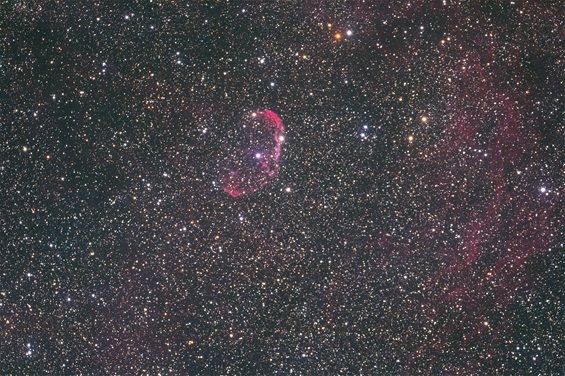 Astro photo taken using a Canon 200mm L lens Alentejo Portugal An incredible explosion of colors created by Mother Nature. 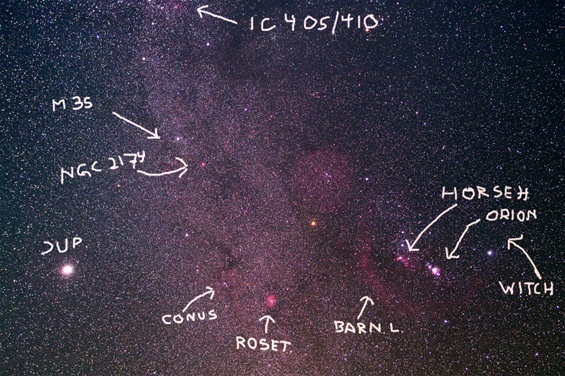 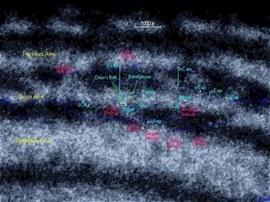 See also section star clusters for M4. 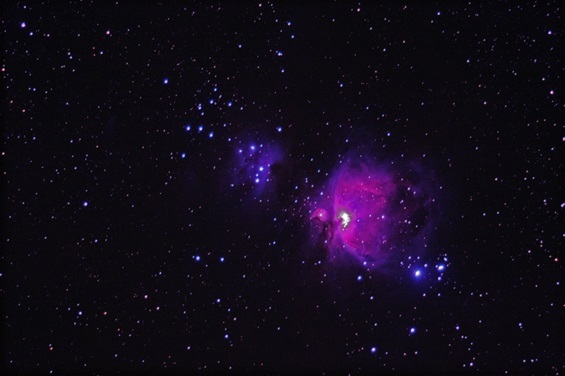 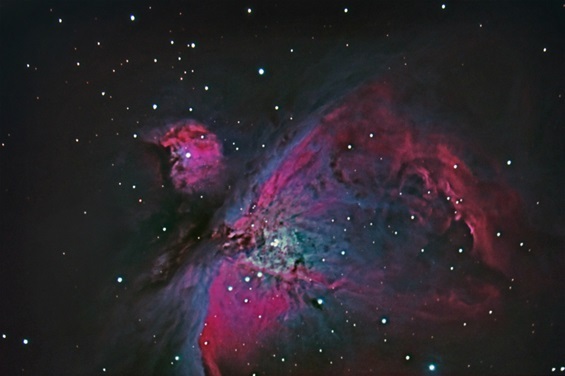 10The nebulae on the Orion-Cygnus spiral arm of our galaxy where also we and our Sun are drifting, are the closest to us and are 900 to 2500 lightyears away. 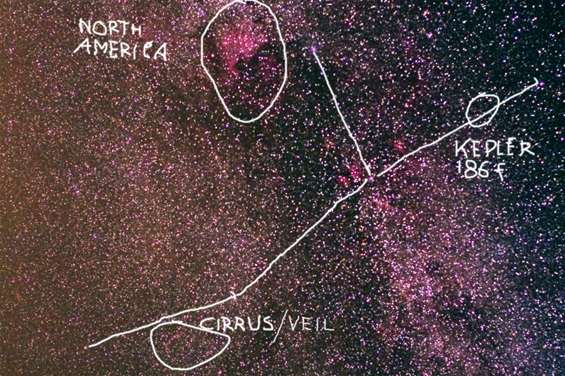 The nebulae on the Perseus spiral arm which is farer away from the center of our Milky Way than our Orion-Cygnus arm, are about 4000 to 10000 lightyears away and are seen from Earth in the same direction as the Orion-Cygnus arm. 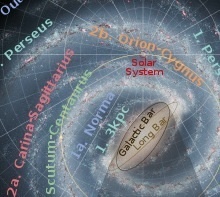 Therefore both spiral arms are presented in the same chapter. 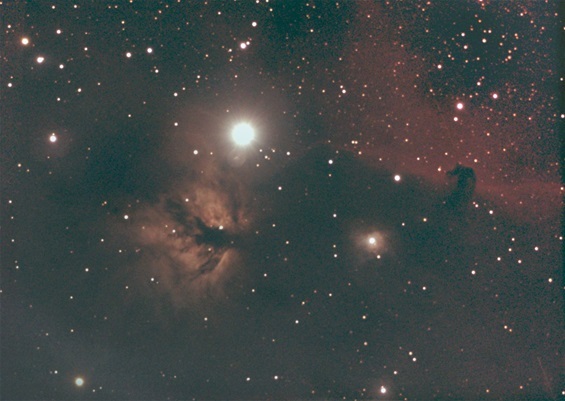 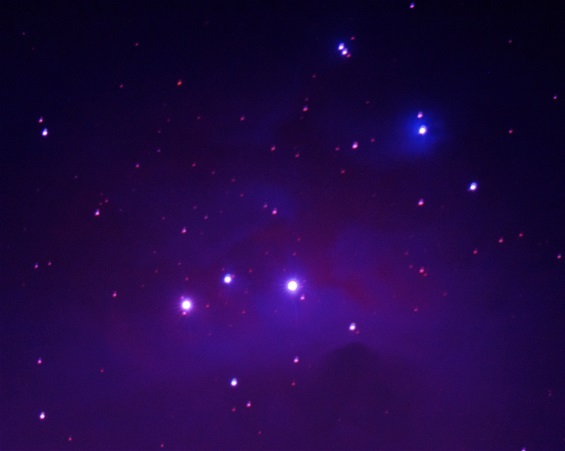 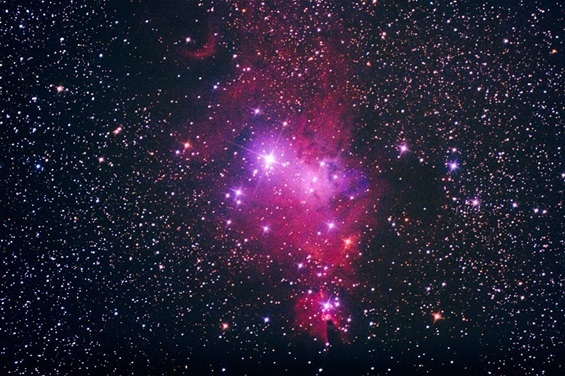 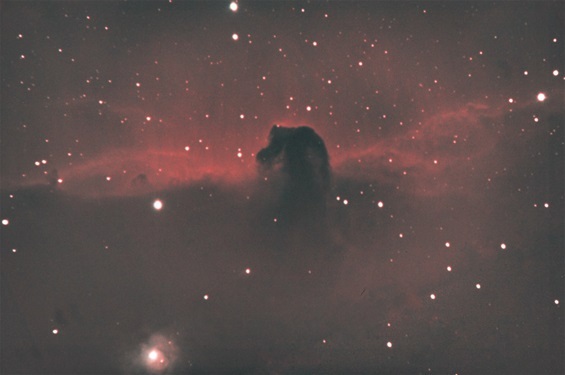 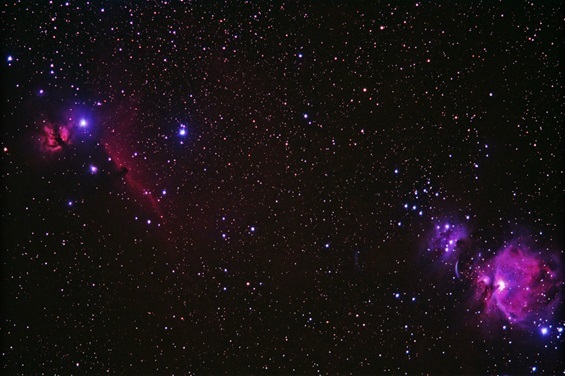 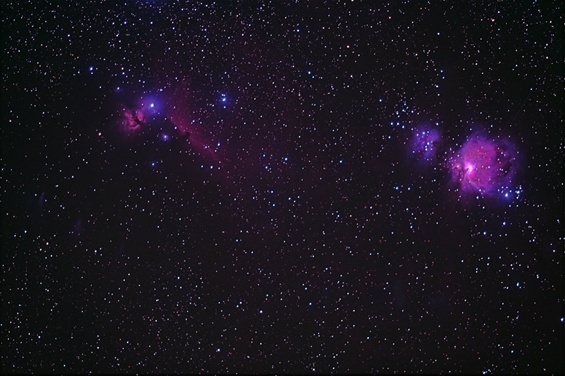 Description of the astro photo above: Jupiter, Conus nebula, Rosette nebula, Barnards Loop, Horsehead nebula, Orion nebula, Withchead nebula(see section supernovae), open cluster M 35, emission nebula NGC 2174, emission nebulae IC 405 and IC 410 in Auriga. 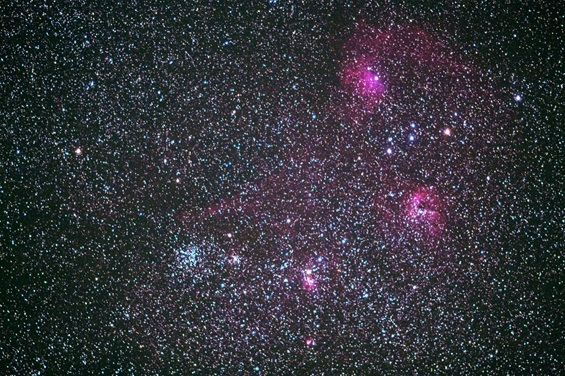 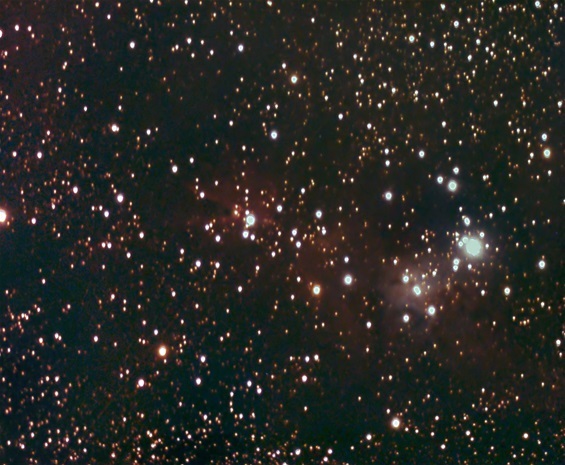 Whereas the nebulae in Orion and the star cluster M35 f.ex. 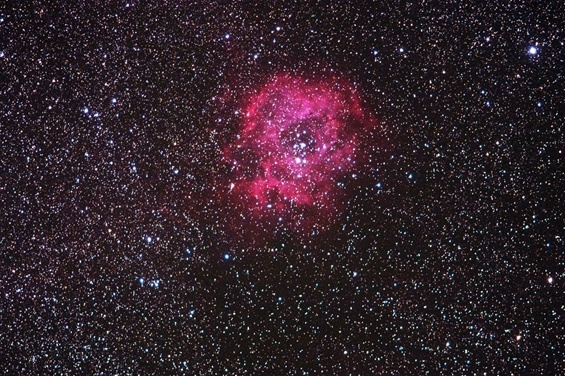 belong to our Orion-Cygnus spiral arm, the Rosette nebula forms part of the farer away Perseus arm!! 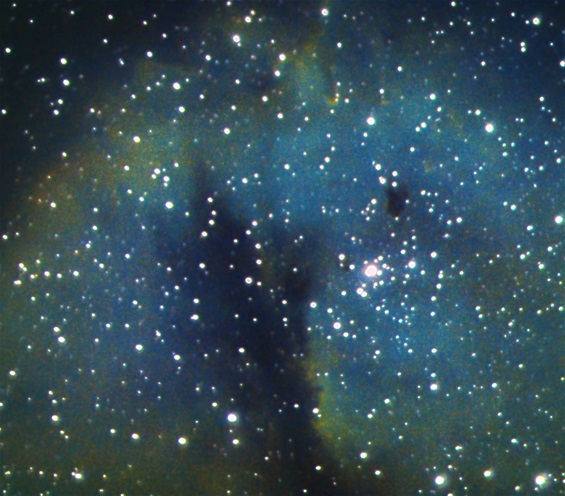 Rosette Nebula in constellation Monoceros 4700 lightyears away and about 120 lightyears diameter, I.e. 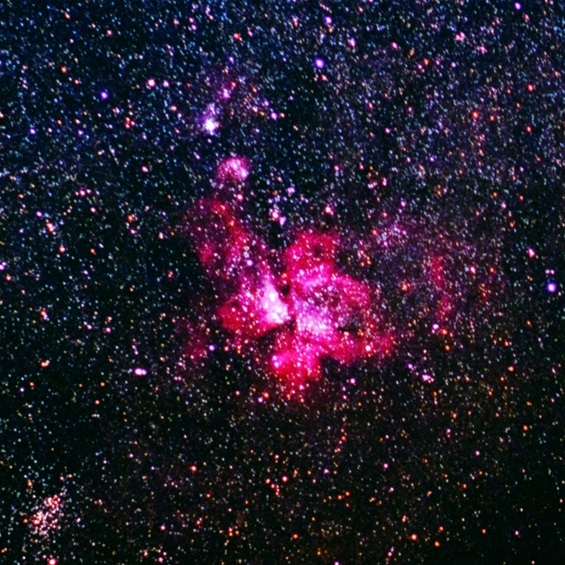 About same distance and double size of lagoon nebula and located on the outer Perseus arm of our Milky Way A beautiful hydrogen reflection nebula with an embedded open star cluster being the light source for the red reflection and also resulting from star formation in this cloud astrophoto taken using a Canon 200mm L tele Lens on Astrotrac mount Death Valley South West USA stunning beauty like a creation from an artist and creational processes stemming from this objects 5200 light years away from earth!! 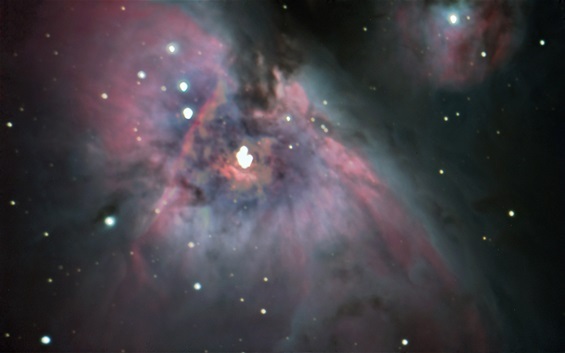 Orion Nebula M42 taken one day after full móon stack of 6 exposures using Halpha, OIII, UHC and CLS filters respectively ISO 800, exp 1-4minutes with Celestron C14 focal reducer at f7 and Canon EOS 600d mod. 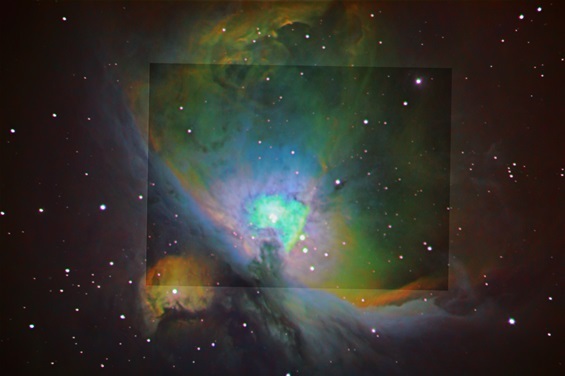 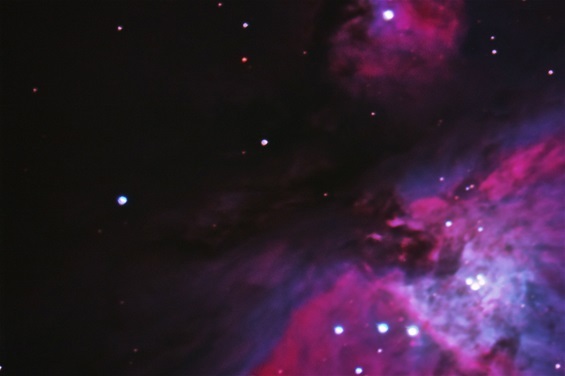 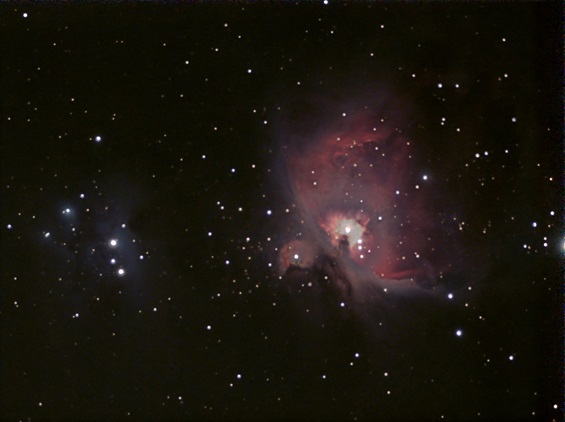 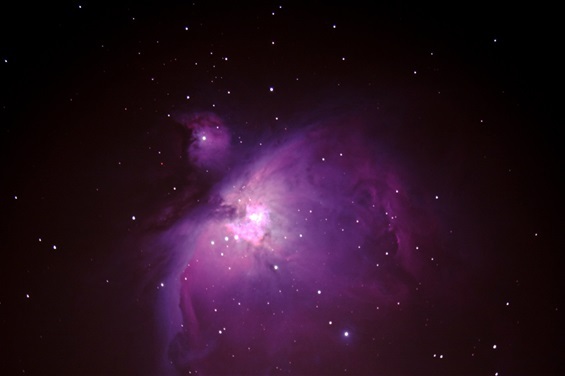 Orion nebula M42, composite of the both astro photos above. 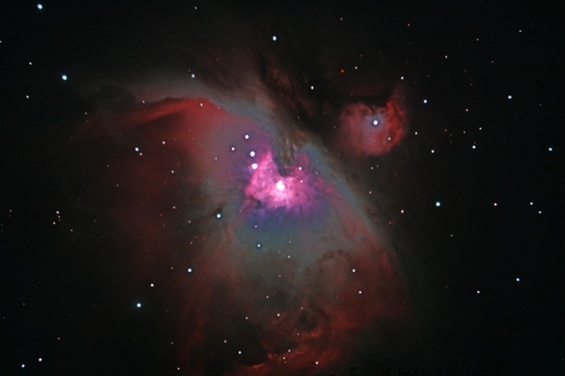 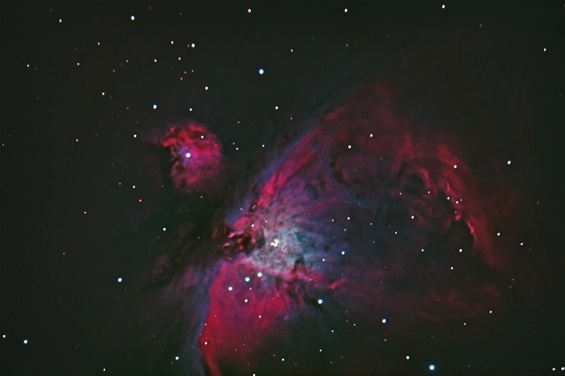 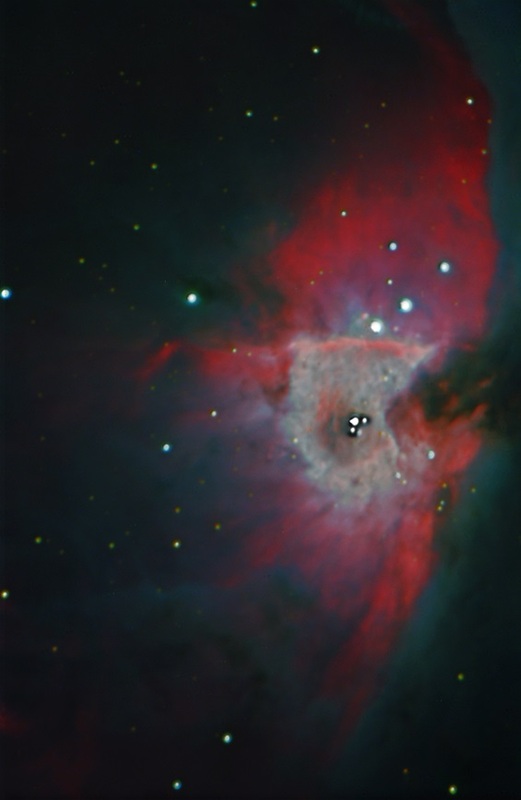 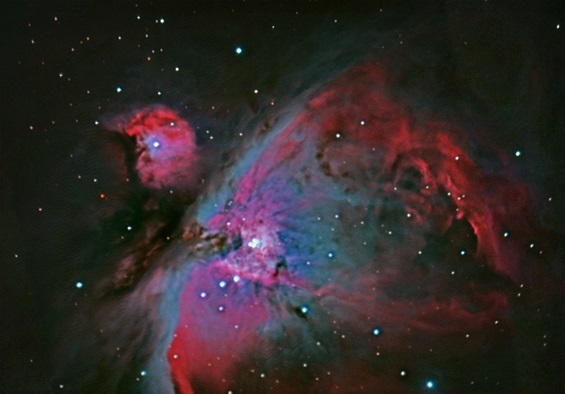 Orion Nebula M42 taken with Celestron C14 with reducer f7 at F=2500mm and Color CCD Camera Orion Star Shoot Pro V2. 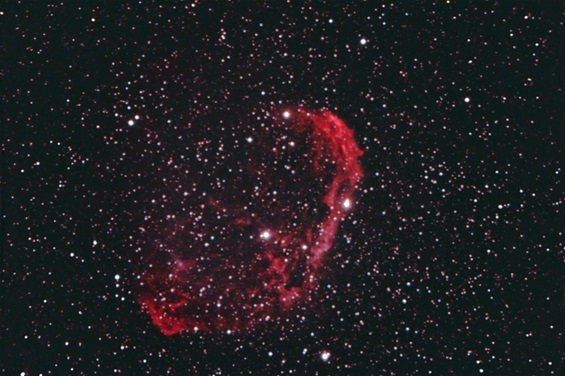 stack of 14 exp,using CLS, UHC and OIII filters between 200 and 400 sec each. 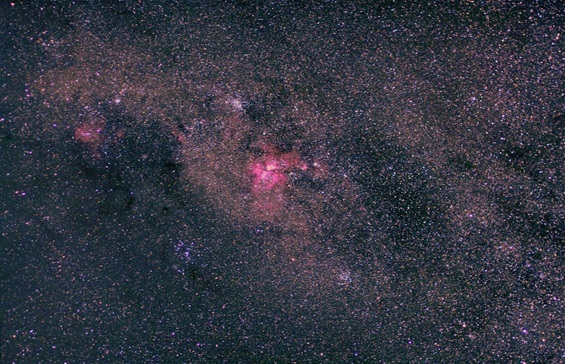 Conus nebula in Monoceros, 2700 light years away, over Death Valley, USA. 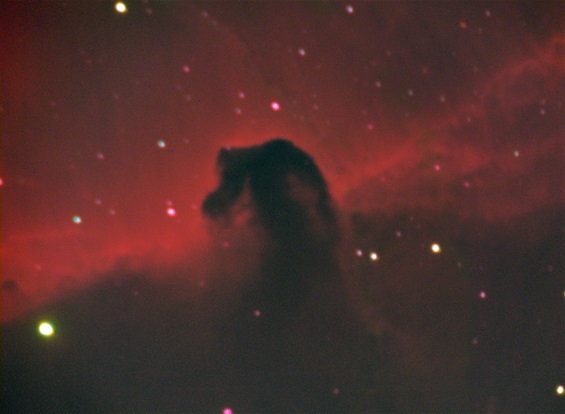 Astro photo taken using a Canon 200mm L lens. 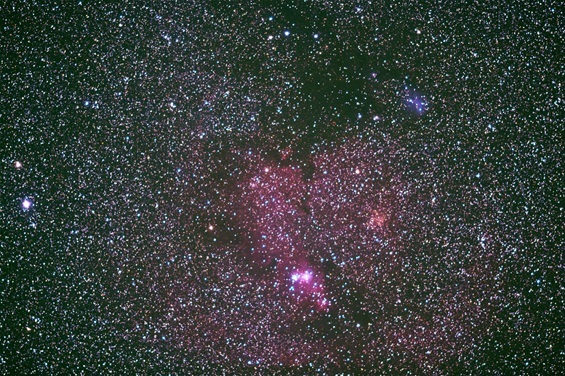 Conus nebula in Monoceros. 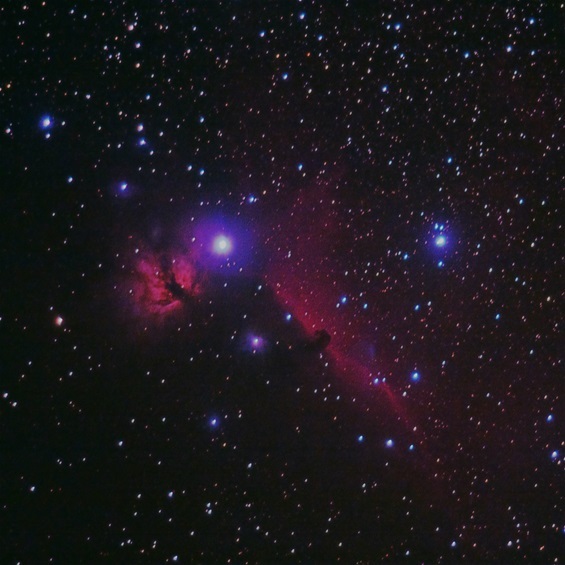 On the bottom you can see the so called Christmas tree clusterand the tree topper star; in the right center there is the fox fur nebula. Astro photo taken usin 8 inch f4 Newton at Emberger Alm, Carinthia, Austria. 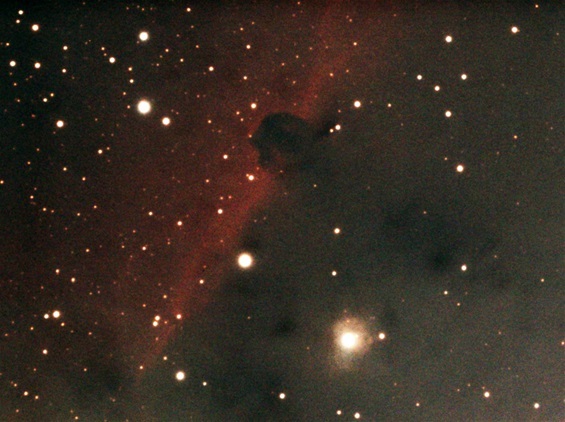 North America Nebula NGC 7000 taken with80/480 triplet APO at Schrick, wine quarter(Weinviertel) Lower Austria. 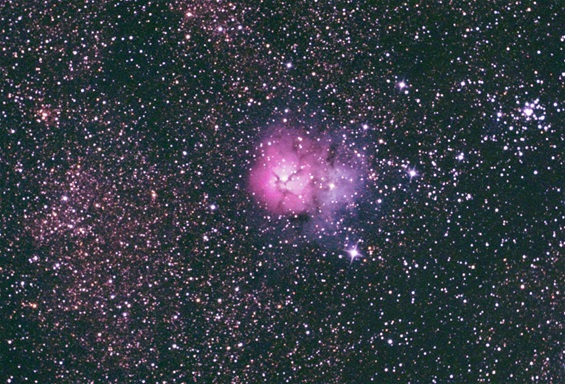 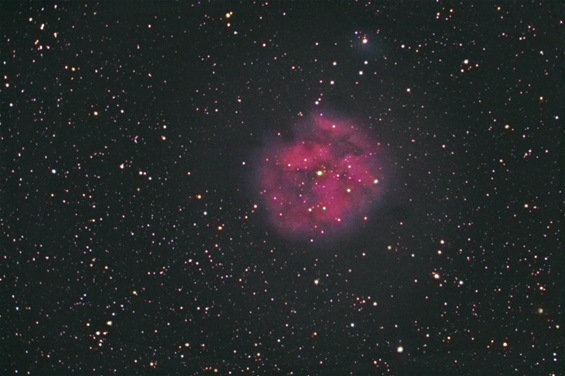 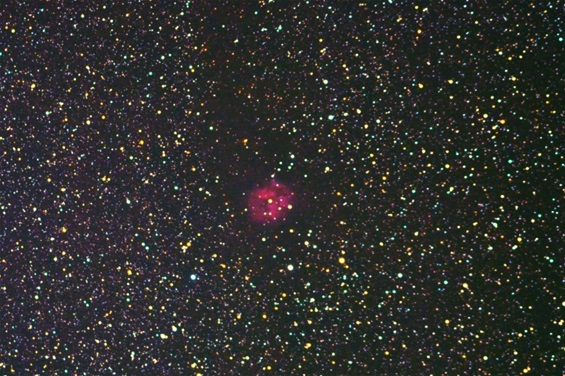 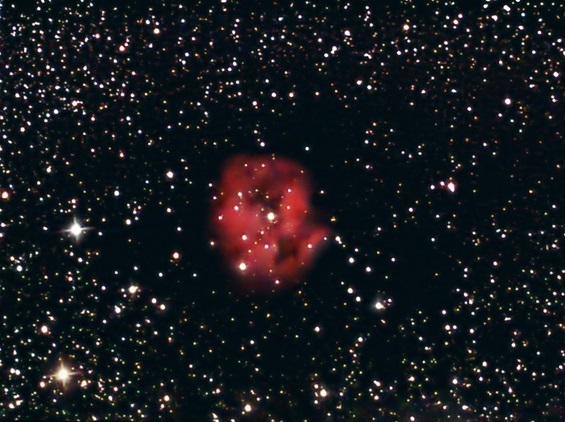 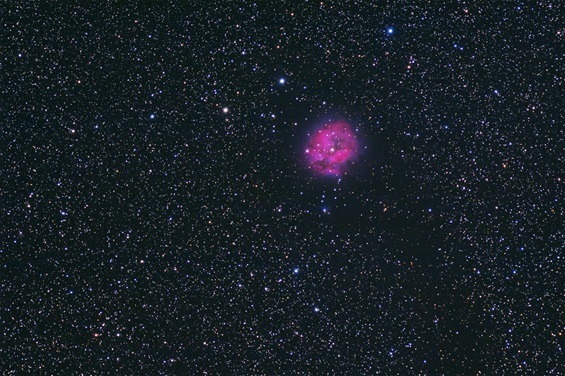 Cocoon Nebula in Cygnus, 3200 Lightyears away, diameter 9,3LY taken with 80/480 APO triplet at Hadres, wine quarter(Weinviertel), Upper Austria. 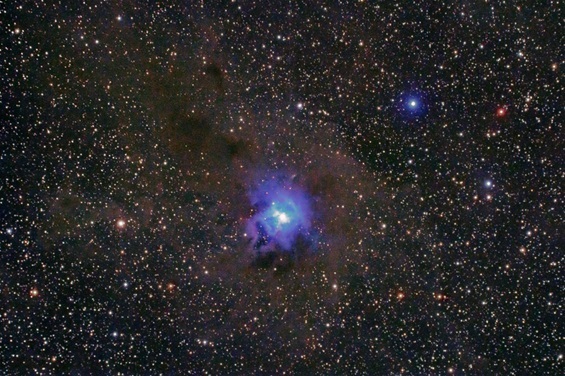 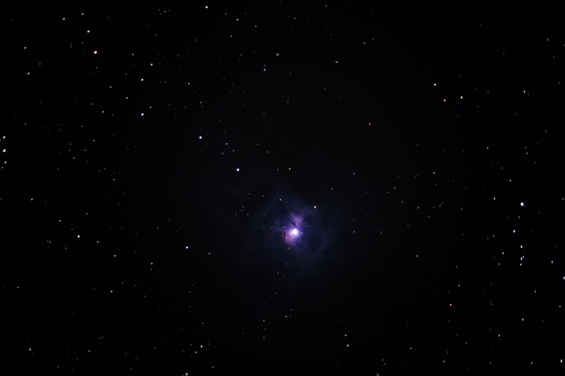 Iris Nebula NGC 7023 in Cepheus taken at the International Telescope Meeeting Internationales Teleskoptreffen Embergaer Alm 2016 stack of 3 exp 552 sec each and 2exp 770sec each with Canon EOS 550d modified ISO 1600, APM APO 107/700 and 0,79 reducer. 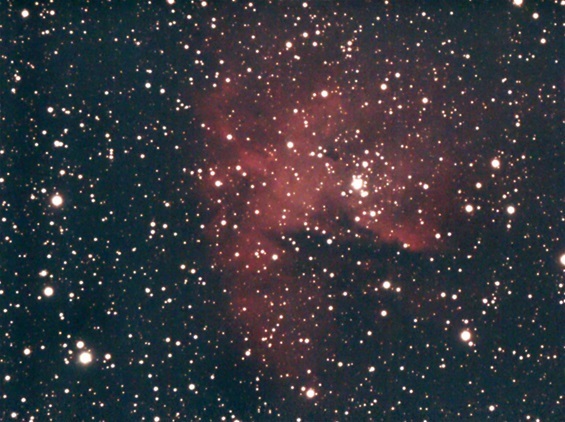 detail of the Pacman Nebula NGC 281 in the constellation Cassiopeia with Hubble colors and narrow band filters The nebula lies in the Perseus spiral arm 9500Lightyears away diameter 35 LY Astro photo taken with Celestron C14 and focal reducer Canon EOS 450d monochrome stack of 4 exp 15min each using Halpha filter, 2exp a20min using OIII filter and 4exp 25min each using SII filter all at 1600ISO One can also identify several Bok Globuls which are star creation areas. 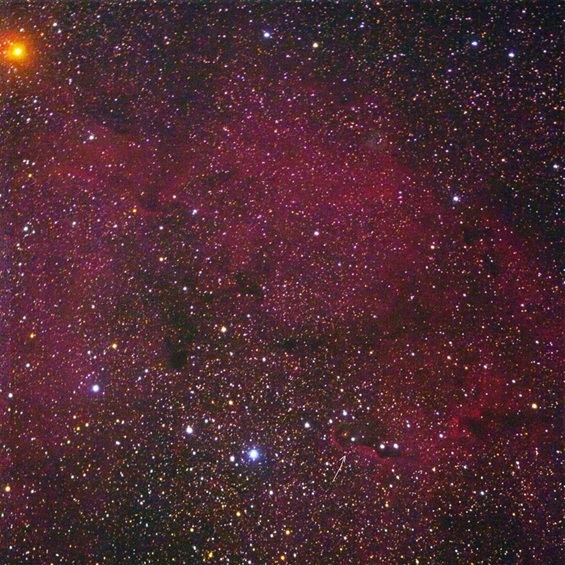 Emission nebula IC 1396, 2400LY away with the dark globule and star creation area IC 1397A which has a dark red rim called the Elephant Trunk(see arrow) in constellation Cepheus taken with 80/480 Triplet APO at Hadres, wine quarter(Weinviertel), Lower Austria. 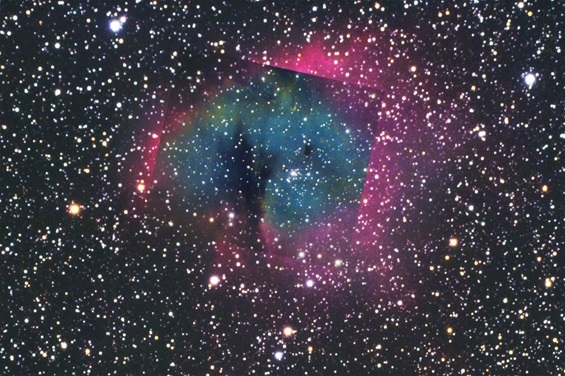 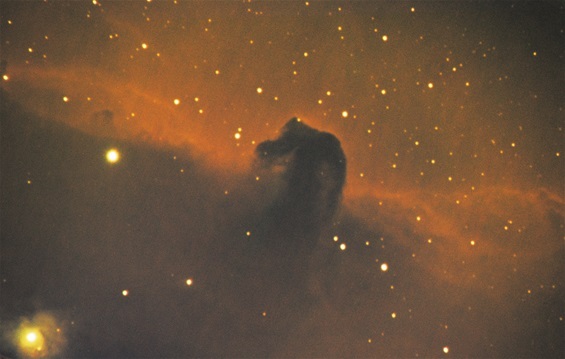 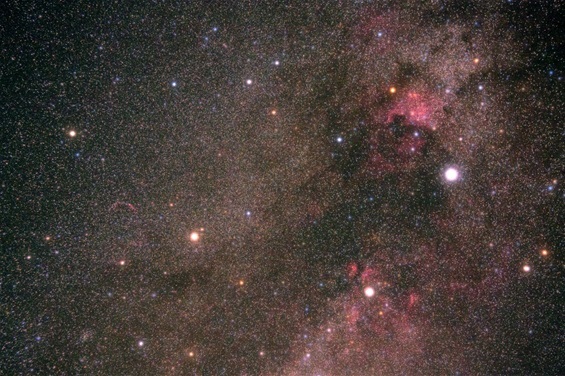 The star in the upper left is the Gamet Star, the elephant trunk dark nebula runs from the right bottom of the emission nebula to the left. 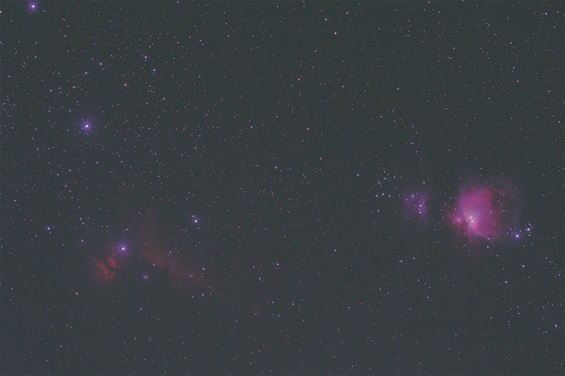 5 exposures 1600 ISO 5minutes each Canon Eos 600d modified at f6. 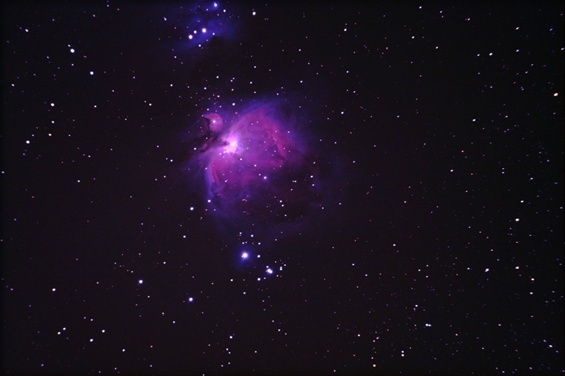 I have never dared to try my 6inch newton on an astrotrac mount. 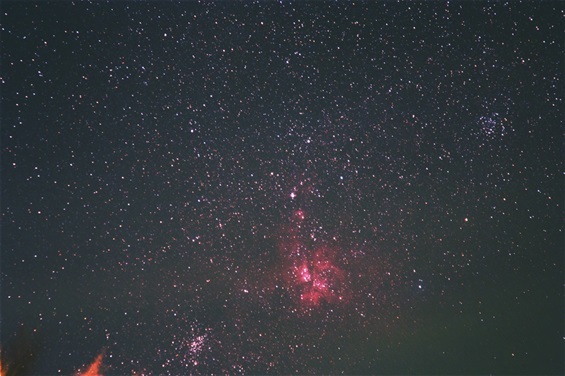 Now I will do too.